A car got stuck while crossing train tracks in Fauquier County, Virginia, with two trains approaching from opposite directions. 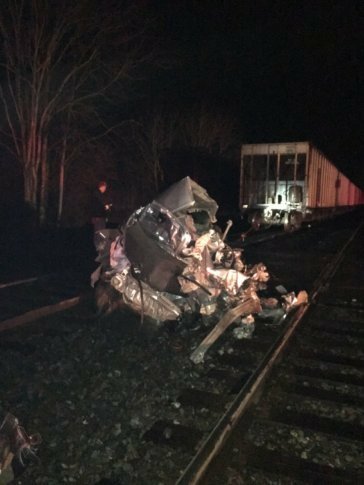 A Honda Civic with four people inside was crossing railroad tracks on Sunday around 7:50 p.m. when it became stuck on the tracks, according to Virginia State Police. Two trains were approaching from opposite sides. Everyone inside the car had time to get to safety before the trains struck. One of the trains was an Amtrak train. Amtrak reported that people on board the train were injured in the crash. Virginia State Police said the crash remains under investigation.